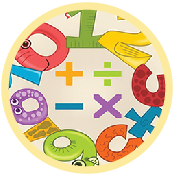 Mixed operations 2nd grade quiz for kids for kids online. This is an interactive online activity which enables students to check out their level of understanding of every topic in second grade. In this quiz students will test skills on addition, division and multiplication. 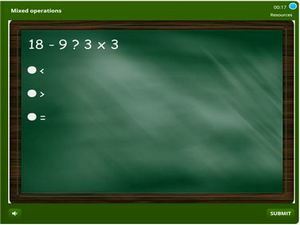 Some problems contain equations that contain two different operations e.g. 3 + 3 = 3 x 2. In some cases students also have to find the sign the makes the equation balanced. Improve different skills by taking this online test. Begin practicing and tracking your score.